When I picked this palette up at Ulta I was on the fence about it. After using it for a while I am sold though. I was hoping the deeper less shimmery shades would make this palette a winner and in my opinion they do! I like the Too Faced shadow formula for both shimmers and mattes. In truth thats really what makes me want to buy! 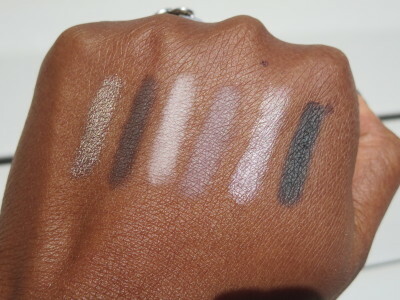 The color line up looks good in this palette nothing really stands out though. I got past all my assumptions about how this palette was going to work after buying and I had fun with it! Lets talk about packaging for a sec. It’s really cute and glittery! I love the gold glittery palette design. 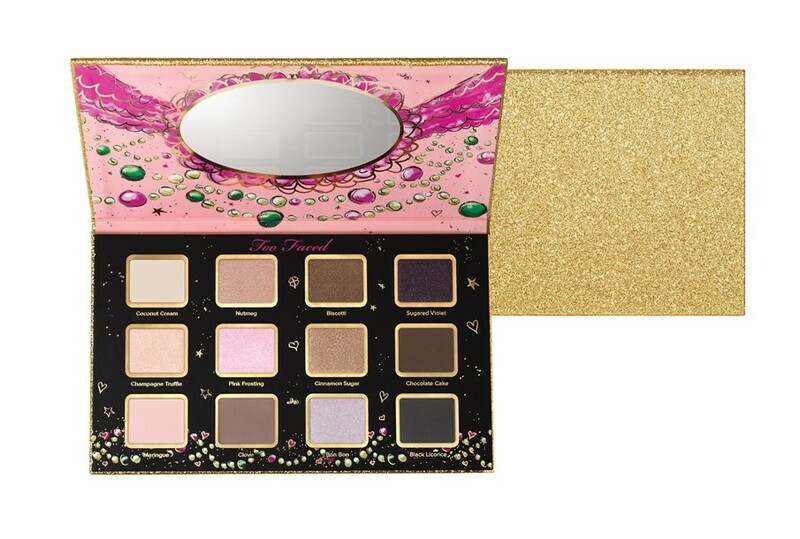 Go Too Faced! Now on to the swatches. Remember you can click on a picture to make it larger! So I have a lot of favorite shade combos. Let me tell you about them! I love Nutmeg, Biscotti, and Chocolate Cake together. And another fav combo is Biscotti, Cinnamon Sugar, and Chocolate Cake. 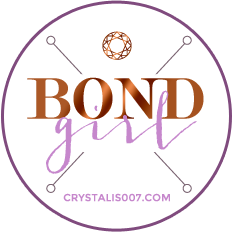 For a lighter more purple-ish look I put Clove, Bon Bon, and Sugared Violet together. That creates a really cool winter look that really looked nice. I tend to favor warmer looks but a cool one with purple lips can’t be beat! I didn’t get much use out of Pink Frosting. That was the dud for me in this palette. It’s just too much. I think Black Licorice isn’t deep enough but it does blend out in the crease well if you aren’t looking for a super deep black. 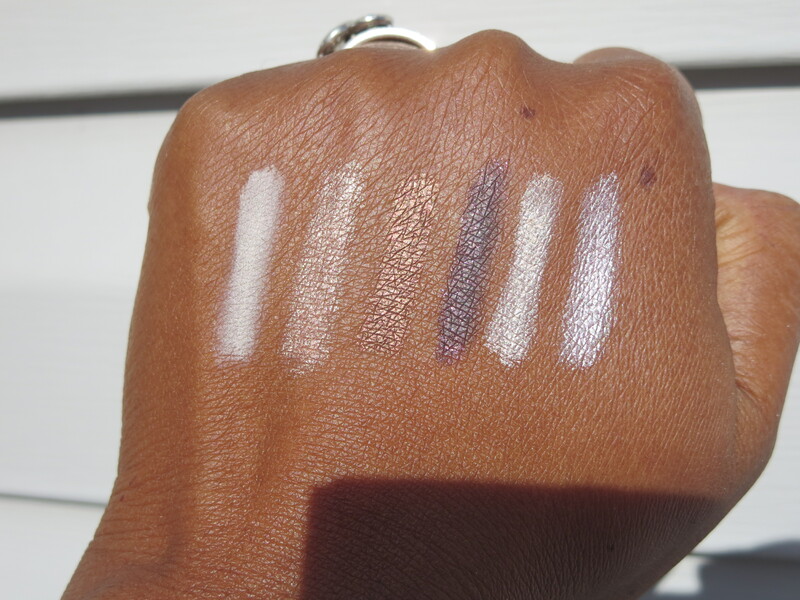 Overall the mattes in this palette blend and perform really well. Check this palette out at Ulta for $39. It’s not my top pick for the holidays but its a nice choice for someone that likes a mix of neutral browns and cool purples. I picked up this palette and I love ❤ it!